Read your horoscope and learn about yourself and others through the astrology zodiac sign. Use astrology and horoscope to know where your love is, what are your characteristics and of your loved ones? What does your date of birth say about you? 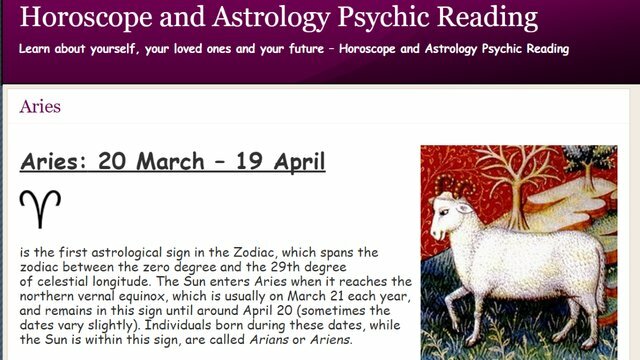 Learn all about Aries astrology sign! 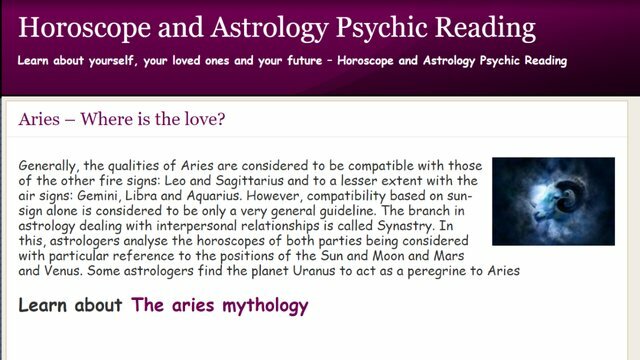 What is the Aries best compatibility? Where will you find your soulmate? Find out what the future holds for you and your loved ones. More bonuses, gifts and surprises for you inside.